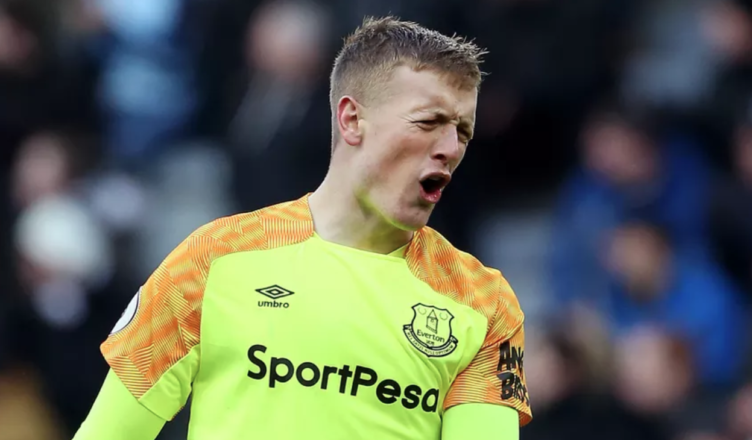 Jordan Pickford makes laughable contradiction as he accepts defeat after NUFC vs Everton horror show – NUFC blog – Newcastle United blog – NUFC Fixtures, News and Forum. Jordan Pickford has conceded that Newcastle fans did get to him during his horror show at St James’ Park two weeks ago – saying he made the mistake of approaching the game as a ‘Sunderland fan’. The amusing part is his blatant contradiction. One minute he admits Newcastle fans got to him, only to claim ‘nothing really affects me’ moments later. Ok Jordan, you keep telling yourself that. “With me being a Sunderland lad, in front of 52,000 Newcastle fans hurling abuse at you for the full game . . . too much stuff; it was just all about being a Sunderland fan. Pickford, much for the the amusement of Toon fans, had a nightmare as Newcastle came from behind to beat the Toffees 3-2. The former Mackem should have been sent off for a ridiculous challenge on Rondon as he gave a penalty away and was also at fault for Perez’s first goal. The ironic part of this interview is that Pickford says ‘nothing really affects him’ – to only then go an admit Newcastle fans got to him that day. He was clearly rattled – even shouting at Newcastle fans after the defeat on the way off the field. He must surely have released the more he reacted, the more Newcastle fans would enjoy it and such immaturity alongside a poor performance, hasn’t endeared him to the Everton faithful. Pickford has had a poor season in the main after winning plaudits at the World Cup and rather than getting involved with Newcastle fans, he would be better served focusing on himself. It was this advice that Toon legend Alan Shearer gave Pickford – as all Newcastle fans have quite rightly enjoyed sticking the knife in. After all, winding Pickford up is the closest we get to derbies these days, with Sunderland TWO divisions below us!